There’s no joke here, I just thought that Itchy and Knee deserved to have a bit of enjoyment now and then. And the idea of their round heads in round space helmets was irresistible. 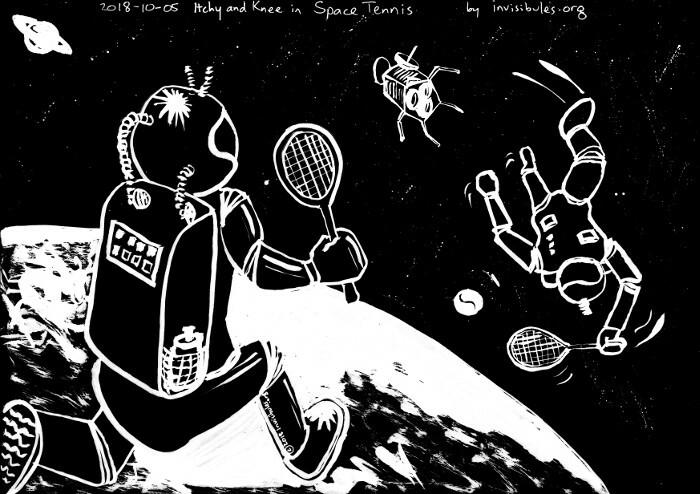 Itchy and Knee play tennis... in space. Looks more fun than golf on the moon!